Mostly Positive (57) - 75% of the 57 user reviews in the last 30 days are positive. Mostly Positive (538) - 76% of the 538 user reviews for this game are positive. ““We do believe that if we want to develop the best game possible, we have to work with our players. Our goal is to develop a realistic military FPS for Virtual Reality headsets that every player loves and enjoys. Without player feedback, we couldn’t accomplish that. Moreover, when the full version of the game will be accessible, we would like it to be free of any defect or bug. “The game's core mechanics are layed down: physics based interaction, customizable weapons with various attachments. “"We regularly monitor our community channels, including our forum on Steam, our Discord and our social media (Facebook and Twitter). We extensively test the game/its updates before it goes live, but if players find a bug, they can report it and we’ll fix it as soon as physically possible. We also take the best/most upvoted ideas and add them into the game. Zero Caliber devblog: mid-April's content update - New map! The day of the next update is approaching, you can expect it to hit mid-April! It'll have new content as well as many improvements and fixes. We just had to share with you what is coming, we hope you are as excited as we are! Please keep in mind that all the footage and images seen below are WiP, and don’t represent the final state. We’ve been working on a stormy, really immersive small mission: No Man’s Land! Get your thunder buddy, and play through the map in Co-op! Subscribe to our YouTube channel so you won’t miss the map’s teaser coming this week. Do you remember that scene in Rambo with the mounted .50 Cal turret? Yeah… You can now use it in Zero Caliber! We’ve added a stationary, mounted .50 cal turret to the game. Are you prepared for the action? It seems like our AI finally gave up chasing butterflies. The overhauled animation is coming! They will feel much more life-like, with smooth movement and behaviour. Besides the animation improvements, their aiming accuracy will be tweaked as well according to the difficulty you choose. Prepare for a real challenge on ‘hard’ difficulty! Swapping attachments on your guns is already possible. Now you can do it in a badass way! Grab another one, and knock the used one off of your gun in an instant. We’ve improved the hand animations when grabbing different bolts, sliders etc. We’re also working on a different weapon belt system with fixed weapon positions for easier handling, and countless other improvements and fixes. Complete patchnotes will accompany the update itself, these are just the most exciting additions of the next update that we wanted to share with you. For more info about the PvP’s development, sneak peeks and behind the scenes, follow our social media, our subreddit or join our Discord server! Thank you all for your continuous support, keep the feedback coming! Zero Caliber Update - Steyr AUG, Movement changes, Initial setup guide, FPS independent recoil and a lot lot more! Since the last update, we've been working very hard on fixing core issues, and optimizing the game's performance. 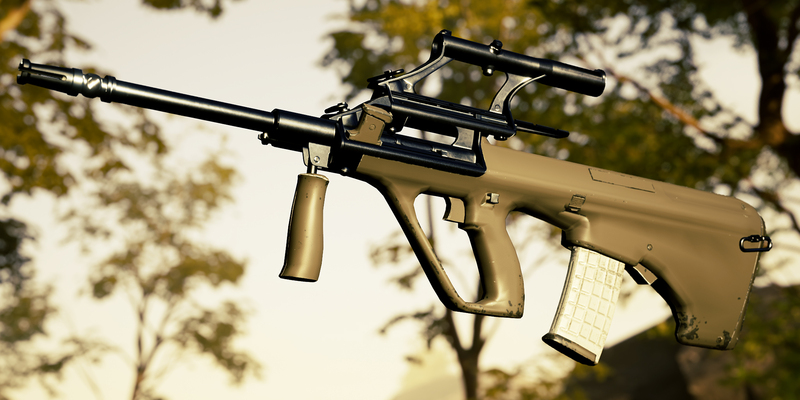 We haven't forgotten about content either, another community favourite weapon got added: the Steyr AUG with new attachment and surprises! You'll see a new, initial setup guide to help you choose the settings of your liking. It's hard to summarize all the improvements, fixes and content, so please do read the patchnotes below. Benchmark Feature under graphics settings: Auto-Set your game to 90 fps any time! Steyr AUG bullpup assault rifle with new attachments. Check the unlock requirements in the new info panel! Scopes zoom levels changed, now all scopes can be used in Close-to-Mid range combat scenarios. Default zoom has the widest FOV. 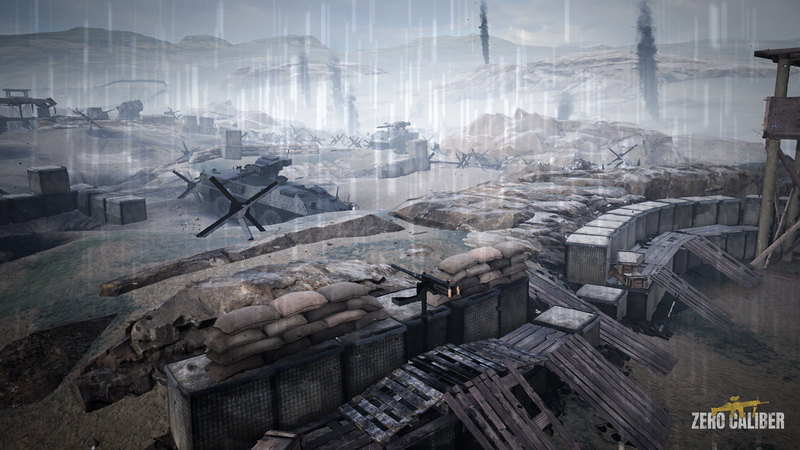 The first story map, ‘Timber’ is divided into 2 parts with reworked layout and gameplay. Previously this map was huge, which negatively affected performance. Unfortunately, some of our AIs decided to chase butterflies instead of shooting, so we had to delay the implementation of the new animations. We're fixing the bugs, but we need more time to sort it out. Will be included in a later update, we're sorry about it. As you can see, we've been focusing on fixing and improving things. Bugs might still occur, if you see anything unusual, please report it in the 'Bugreports' section here on Steam, or via our Discord server. If you have any suggestions, ideas, contact us here, via e-mail, social media or Discord, we're all ears! New maps, the PvP mode and further improvements are in development, stay tuned for the news about them!